Generic pharmaceutical giant Mylan has boosted its position in the emerging biosimilar market via a $245m agreement with Momenta. 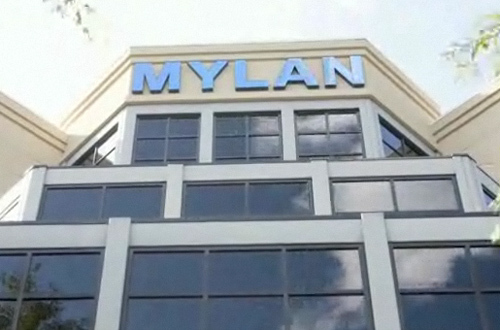 The agreement gives Mylan the rights to six biosimilars in Momenta's pipeline, including a version of Bristol-Myers Squibb's rheumatoid arthritis therapy Orencia (abatacept) which brought in sales of a little under $2bn last year. The identities of the other candidates have not been revealed but, based on patent filings, Momenta's development portfolio may also include biosimilars of Roche's MabThera/Rituxan (rituximab), Amgen's Prolia/Xgeva (denosumab) and Vectibix (panitumumab), Novartis' Xolair (omalizumab) and Sanofi's Campath (alemtuzumab), according to Evercore ISI analyst Umer Raffat. The deal includes an upfront payment of $45m and up to $200m in milestone payments, according to Momenta, which is riding high after getting US approval for Glatopa, its Sandoz-partnered biosimilar of Teva's multiple sclerosis blockbuster Copaxone (glatiramer acetate), last year. The deal could allow Momenta to tap into Mylan's international sales and marketing networks and launch some of the biosimilars in emerging markets ahead of established territories such as the US and Europe, according to Bernstein analyst Ronny Gal, who speculated whether the deal could be a forerunner to an acquisition. Momenta chief executive Craig Wheeler said the collaboration combined "Momenta's proven capabilities in complex product development and Mylan's world class global R&D, supply chain and commercial infrastructure". The deal also bolsters Mylan's pipeline, which is starting to look a little thin with the crop of new launches expected in 2016 and 2018, particularly in the biosimilar category where the company is at risk of falling well behind rivals such as Biogen, Novartis and Pfizer. To bolster its portfolio and pipeline, Mylan mounted a hostile takeover for generic and over-the-counter (OTC) drug specialist Perrigo last year, but failed to bring the deal to a conclusion. Biosimilars are expected to reduce healthcare costs and provide a larger number of patients with access to biologic treatments. Pharmacy benefits manager (PBM) Express Scripts has predicted that about $250bn could be slashed from healthcare spending in the US between 2014 and 2024 if biosimilars of the top 11 best-selling biologic drugs become available.